Stylish Star Allu Arjun will be working in Harish Shankar’s movie from August. The movie will be produced by Dil Raju and Devi Sri Prasad will be composing the music. 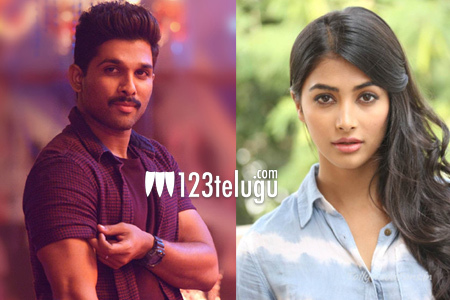 According to reliable sources, actress Pooja Hegde may be the heroine in the movie. She has been approached for the movie and a formal announcement may come soon. The film is expected to be a stylish action entertainer and Bunny is playing a character that he has never appeared in before. The movie is being readied for a summer 2017 release. Dil Raju and Bunny teamed up for ‘Arya’ and ‘Parugu’ in the past.